When I watched the documentary “What the Health?” a few months ago, I quickly realized that I wasn’t watching a documentary about the benefits of plant-based diets — I was watching a propaganda film. 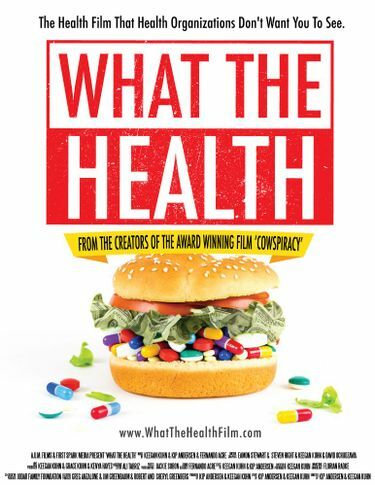 “What the Health?” has a very strong pro-vegan agenda, with information tailored to support that agenda and footage edited for maximum drama. What’s more, the film makes a number of nebulous health claims, including “miracle cure” type testimonials that are literally too good to be true. The final straw came when some of my patients who had watched the film told me they felt guilty — and even scared — that they had been “poisoning” themselves by eating milk, meat, poultry, eggs and fish. But before totally writing the film off, I decided to consult two of my favorite Seattle dietitians: Chris Vogliano, MS, RD, LD, who speaks frequently on how plant-based diets can improve the health of people and the planet, and Ginger Hultin, MS, RDN, CSO, a spokesperson for the Academy of Nutrition and Dietetics and past chair of the Academy’s Vegetarian Nutrition dietetic practice group. Dioxins aside, the film exaggerates what science says about health risks of animal foods — while dismissing concerns about sugar. Research does show that excessive amounts of animal protein and fat may not do our health any favors, but the filmmakers make the leap that a little is just as bad as a lot. Research does not support that. The film also claims that processed meats are as dangerous as cigarettes because the World Health Organization lists both as Group 1 Carcinogens, which means that there is “sufficient evidence of carcinogenity.” It doesn’t mean they carry equal risk. Are food documentaries little better than entertainment — or do they offer some valid food for thought? Hultin thinks they can inspire change and offer a new perspective, but that it’s important to assess whether the information is balanced and evidence-based.